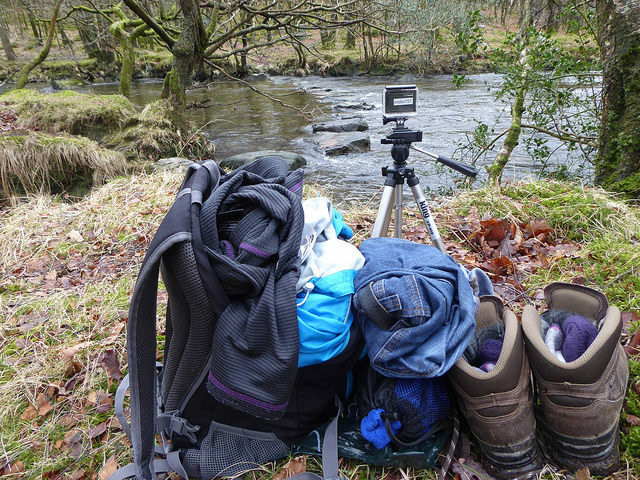 So, why did I spend an hour stood knee-deep in a very cold Lake District river? 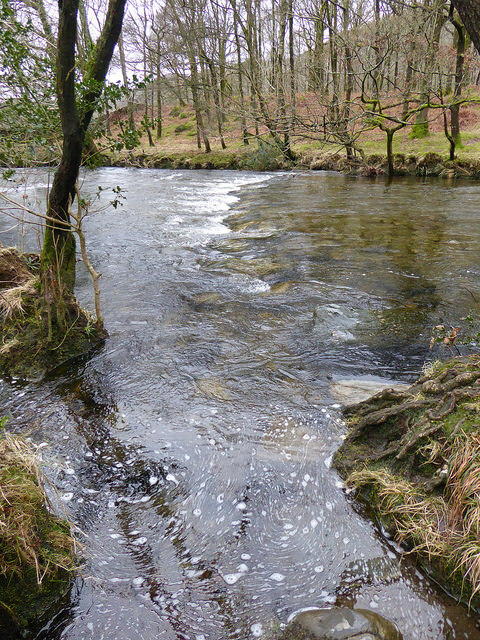 Various people have tried to assign specific locations to the different places described in Wordsworth’s Duddon sonnets. 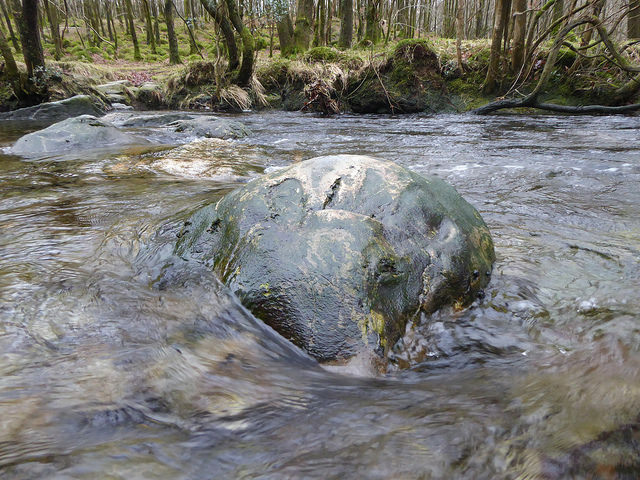 Some are easier to locate than others and, whilst the mention of stepping stones in the tenth sonnet sounds like it should be a pretty straightforward place to identify, there are a lot of stepping stones across the Duddon, and, well, long story short: we still don’t really know. These ones at Wallabarrow near Seathwaite seem to have won out by general consensus, possibly because they’re often regarded as the most scenic. Not that you could tell so much when I first went to see them: there had been a lot of rain, the river was high and fast as a result, and I nearly didn’t spot them at all when I got down to the river. 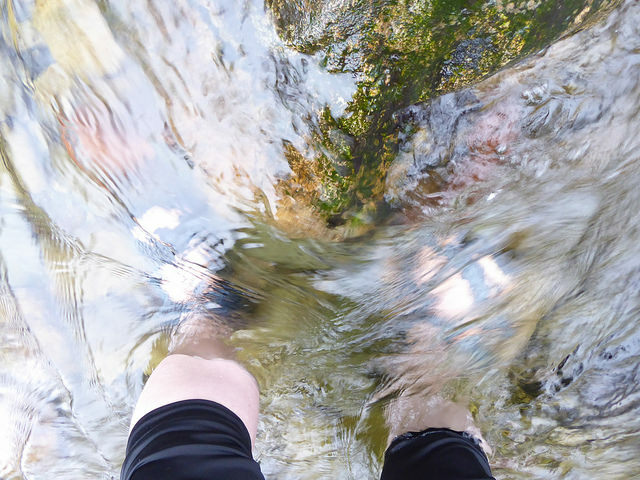 After a bit of hesitation and selecting a run of stones where the water was slightly less deep and treacherous looking around them, I girded my loins and got into the river. 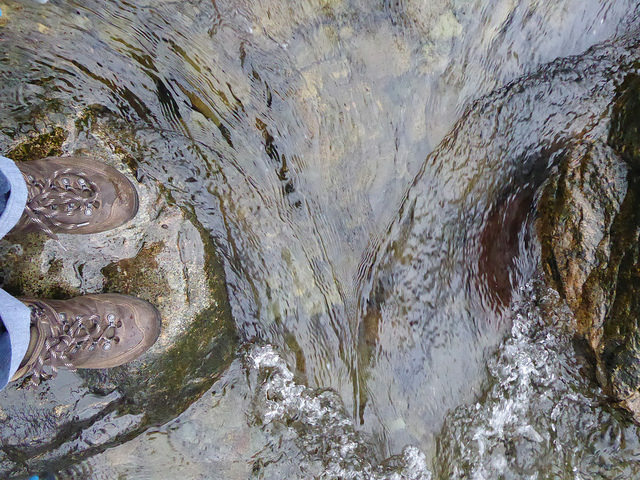 Also nice and slippery thanks to the green slime on the loose pebbles on the river bed! 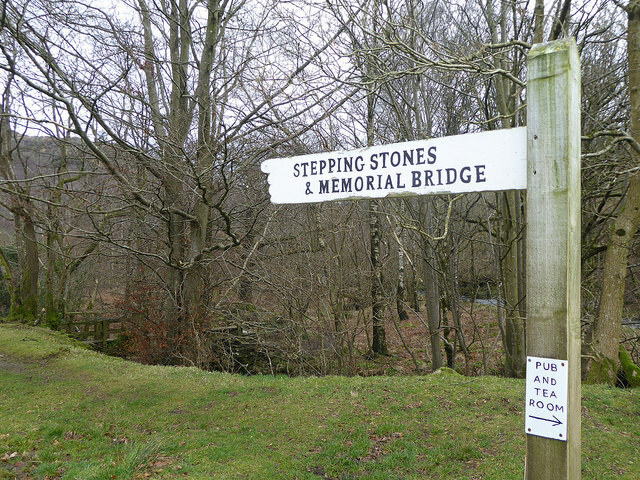 Fortunately I managed to stay upright and completed my task of taking lots of photographs of the stones from all angles. What I forgot to do, however, was to take any measurements of the stones so I had a scale reference for the photos, or to take enough photos of the relative positions of the stones. “No problem!”, I thought, and popped along the next day with a measuring tape. 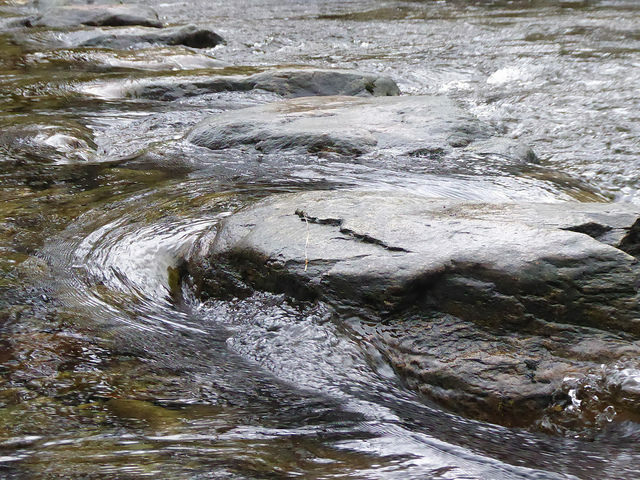 That’s the thing about the river: it’s not static. The water flows along its length, but there’s also movement up and down on a daily basis according to the rain and ground water. 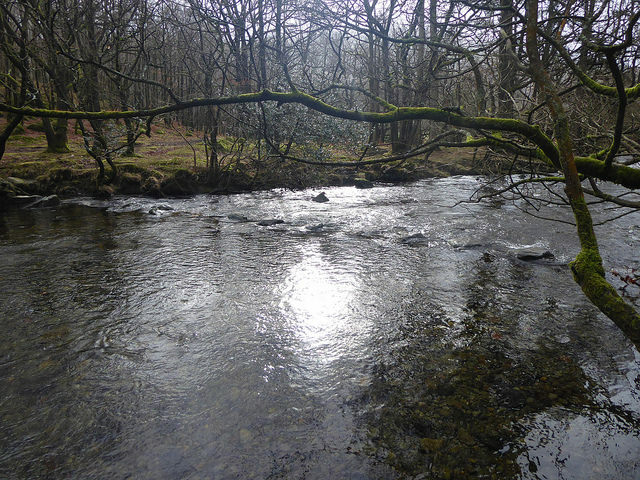 You can experience a different Duddon on consecutive days. 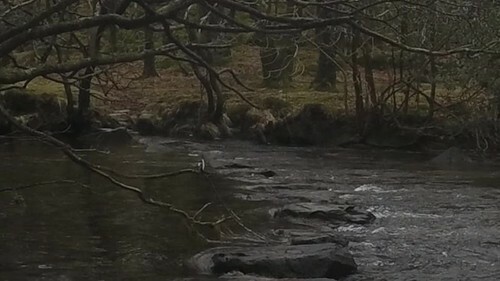 Below are some photos taken a few weeks later, just as Spring was starting to be hinted at in the valley. 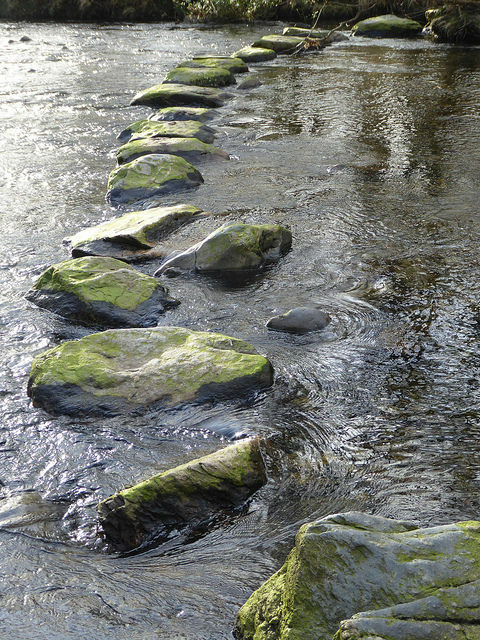 You can see the gentle curve of the stones that people find so pleasing and they look more like a reasonable path across the water.